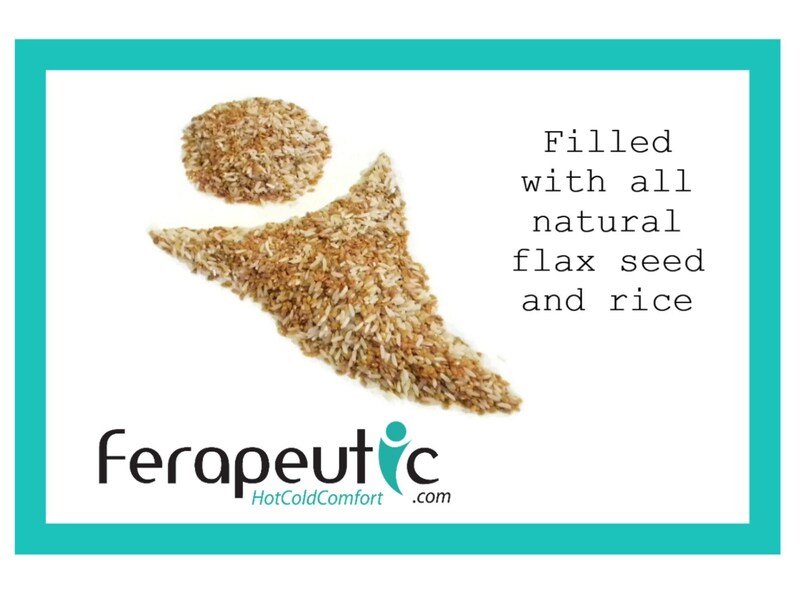 Heating pads and cold packs make the perfect nerve pain kit. 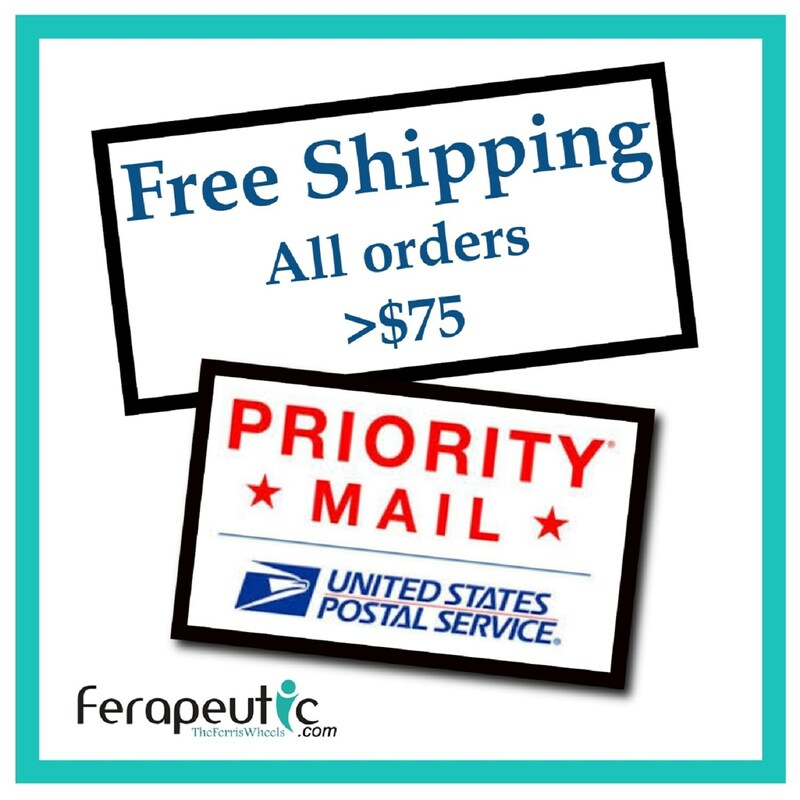 Help nerve damage and promote healthy circulation with this heat therapy care package. 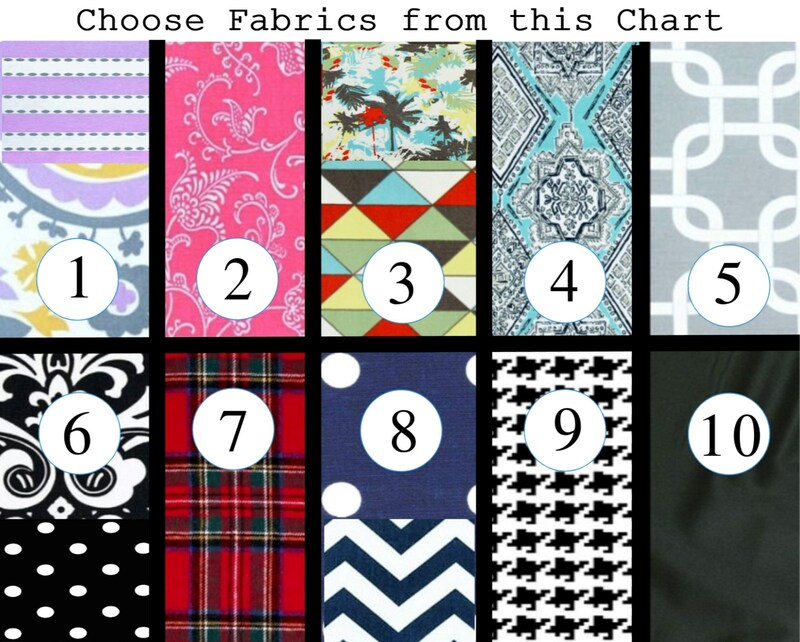 Choose from the following options in the drop down menu... Scroll through photos to see fabric chart. 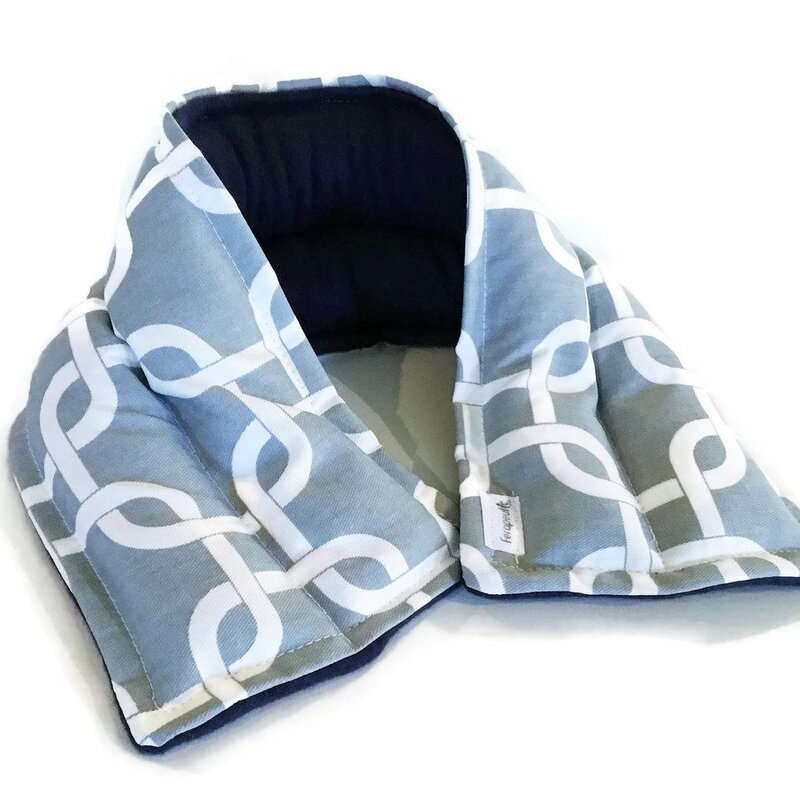 20" x 5" Universal Size Microwave Heat Pack Neck Wrap provides warm moist heat to neck and shoulders. Separated in to two chambers to keep rice and flax evenly distributed. 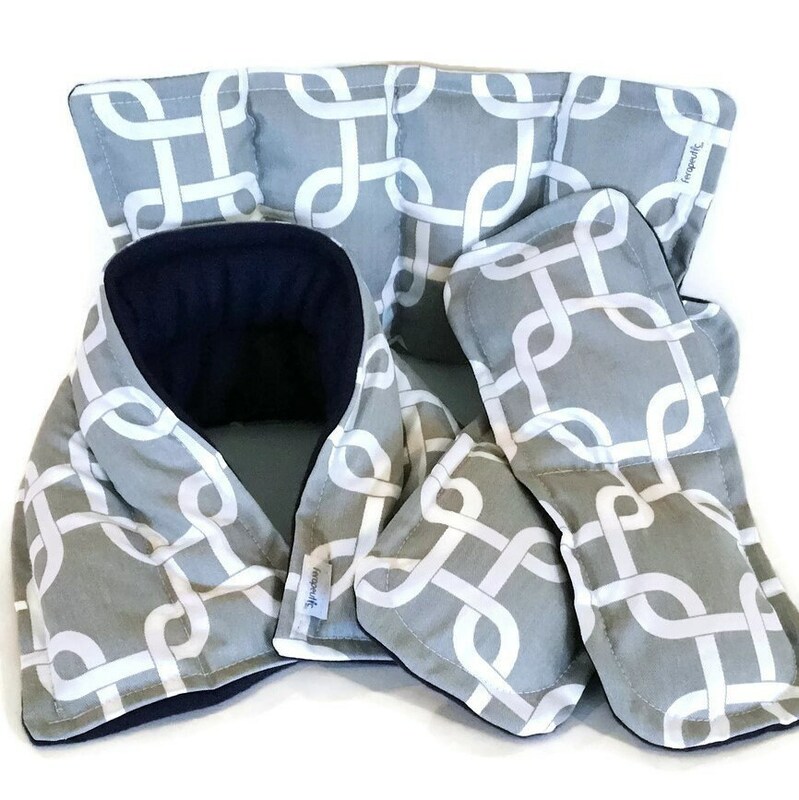 8" x 12" Microwave Heat Pack has four chambers and is the perfect size for lower back, knees, elbows, tummy. 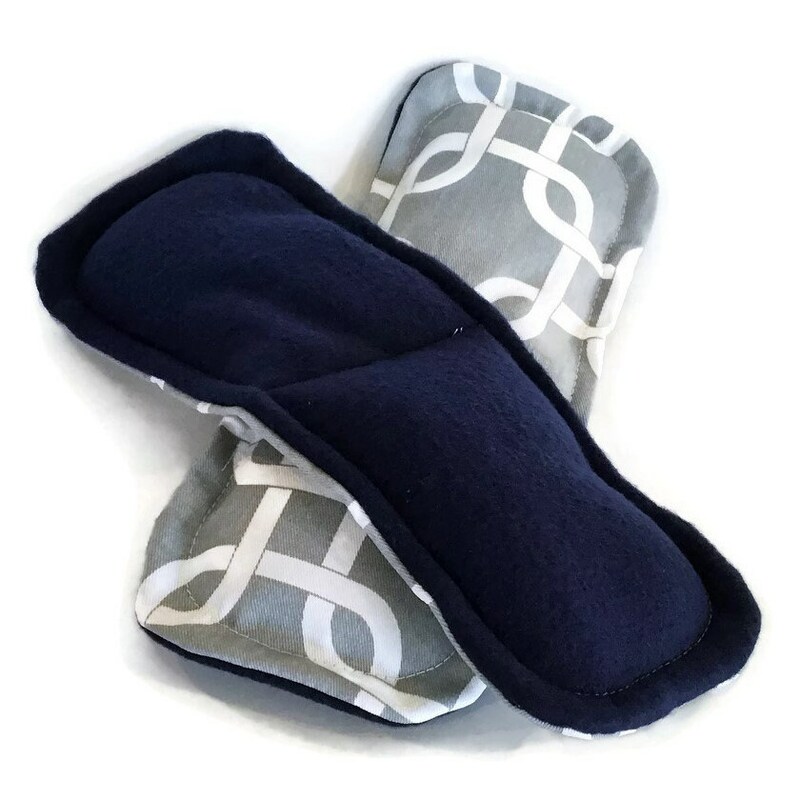 11" x 4.5" Footwarmer Inserts tuck inside a large pair of socks or slippers and feel like soaking your feet in a warm bath without all the mess. 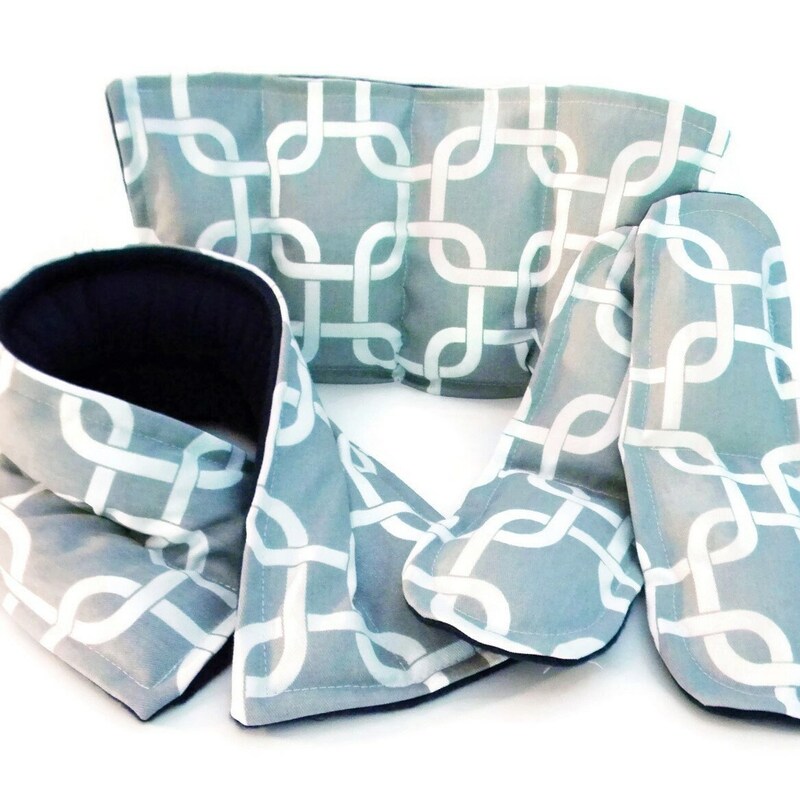 Just a minute or two in the microwave, and these microwave heat packs turn into a heated hug. 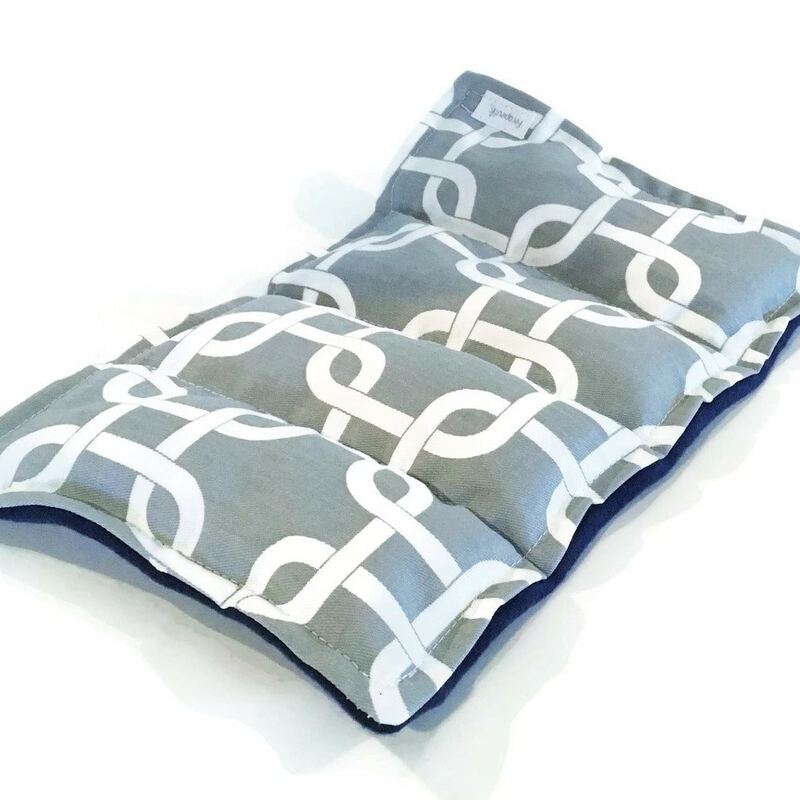 A few hours in the freezer turns the microwave heat packs into stylish cold packs! 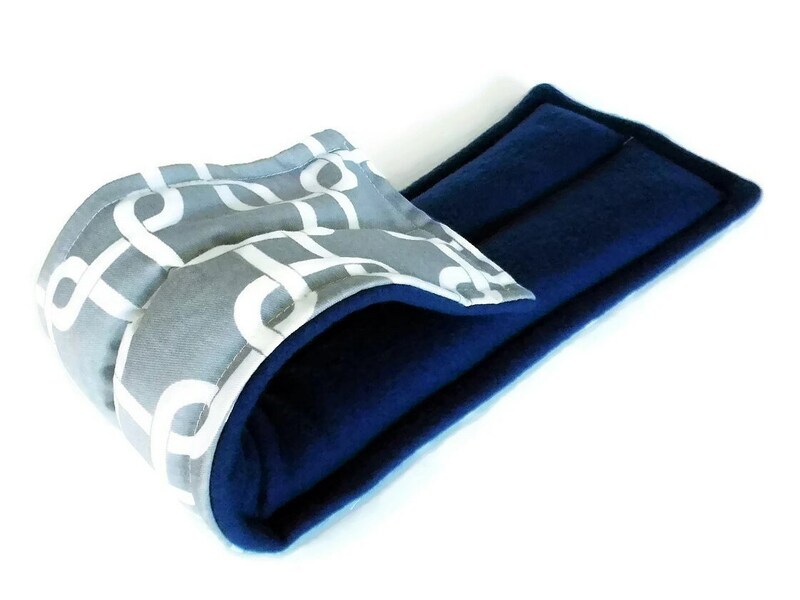 Some fabric choices will include coordinating fabric for the medium pack and eye pillow. All sizes are approximate and fabric pattern placement may vary slightly from the photo. Info and treatment is not intended as medical advice or to treat any illness. If you have a serious health concern, please consult a physician.